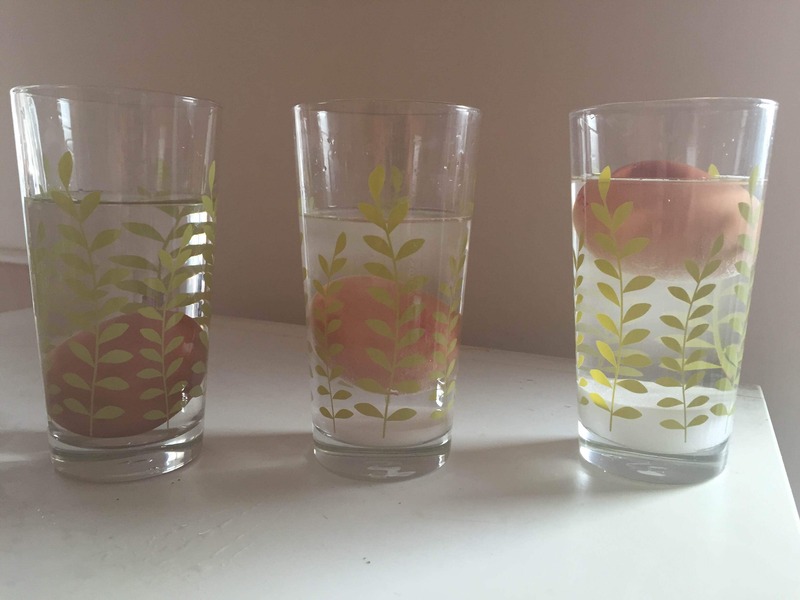 The floating egg science experiment is simple and easy to do. Find out how to make an egg float using items hanging around in the kitchen cupboards. Half fill each glass with water. Leave the first glass of water as it is. Put 2 tablespoons of salt in the second glass and 4tbsp in the third glass. Give the salty water a good stir. 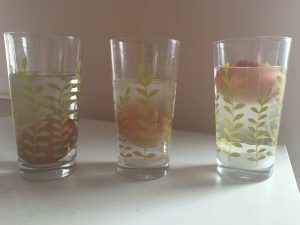 Carefully lower each egg into each glass. What has happened to each egg? That’s right! Whilst the egg in the glass of water containing no salt sinks to the bottom, the ones with salt in float! 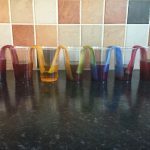 Infact, the one with more salt in is likely to be at the top of the glass, whilst the one with slightly less salt is floating about midway. But how? Density, that’s how! What exactly is density I hear you ask? Great question!! y refers to the amount of molecules that are taking up a specific area. Imagine two rooms, one has 20 people in, whereas the other has none and is empty. This means that one room has a higher density than the other. But what if we now put 40 people now into the empty room? The empty room has now become more dense than the room with 20 people as there are more bodies (or molecules) filling that space! 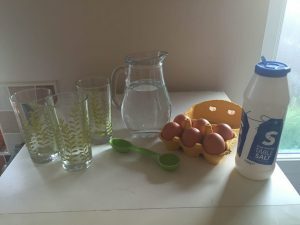 This explains our experiment, the water without salt in is the empty room and the egg is the full room. By adding salt into the water we are increasing the molecules in that area. If we add enough salt we have made the water denser than the egg and so the egg floats!!! Near Israel there is a lake called the Dead Sea which is contains so much salt that people travel from all over to float around in it. 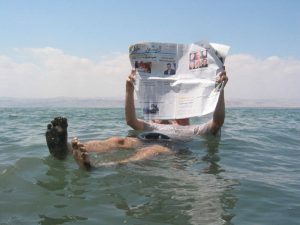 Do a quick search on google and see if there are anymore salt lakes in the world that are similar. Now you have learnt all about density the fun really begins. Put the egg in the water without salt first, then slowly poor salt into the cup and watch the egg rise! Alter the volume of water, the amount of salt and use different objects. Test what objects float without using any salt at all – Don’t forget to check with an adult first before putting household objects in water.